I don't know who I am this summer since I've been craving these bright, vibrant shades of polish on my nails?! Usually I balk at the idea of neons and want to stick with my nudes and pastels, but not this time around. Gimme the brights! Funny enough, I'm craving them during a summer when Essie ISN'T releasing a neons collection. Good thing I collected these polishes anyways! Since a couple of these shades were made permanent and there's always the chance of randomly coming across one of these polishes in a clearance bin (that's where I bought the majority of this collection), I thought I'd share with you these swatches and review. Then you'll be prepared when you come across it and you can decide if you want to pick up one of these polishes or not (although my mantra is usually "get it". Haha!) Normally I would include comparisons but all of these polishes have been compared before in various other posts in the archives of my blog. I'll link to all the posts for you. When this collection was released back in 2015, Vibrant Vibes was the one that immediately caught my eye. It's the most "neon" out of the bunch, since the rest in the collection should just be called brights. I like that it's a bit of a bleached neon. The formula is streaky on the first coat and needs three coats to become opaque. It dries down semi-matte and does not fully self-level. Top coat is definitely needed here! Both to give it shine and to smooth it out. Top coat doesn't completely smooth it out but my nails still look good if I'm looking at them at a normal distance. 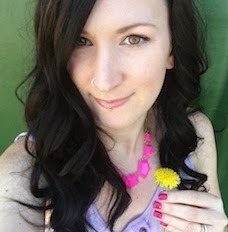 It's not a great formula, but a fun colour when you are craving something bright and different. 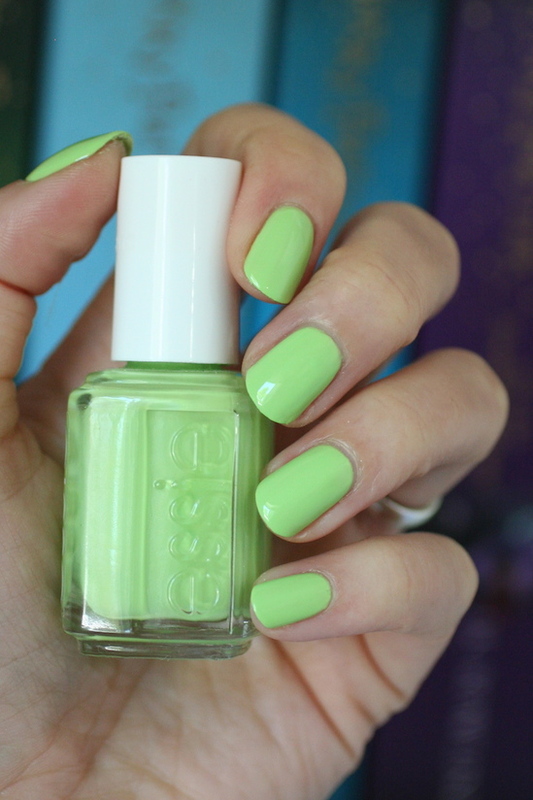 Go HERE and HERE to see Vibrant Vibes next to similar Essie greens. I freaking LOVE this shade of pink! 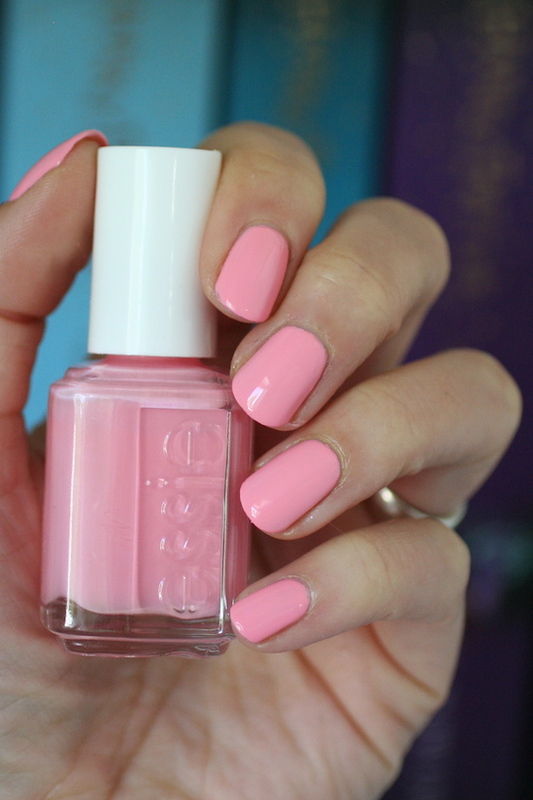 If I'm not going for uber pale pink nails, then this polish is my all-time favourite Essie pink. It has a thicker, more opaque formula than Vibrant Vibes but still streaky on the first coat. It's opaque in 2 coats. It doesn't dry down matte but it does still need topcoat because there's a tiny bit of ridging from where it didn't completely self-level. With top coat they are so smooth and perfect. 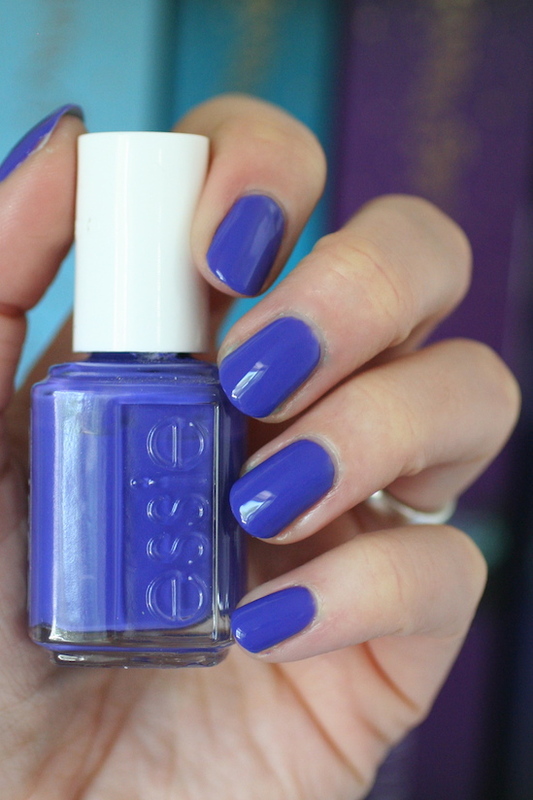 Go HERE and HERE to see Groove Is In the Heart next to similar Essie shades. Totally different formula than the last two! This formula is so nice and smooth. It's kind of a crelly formula but becomes opaque in 2 easy coats. It's also nice and self-leveling. 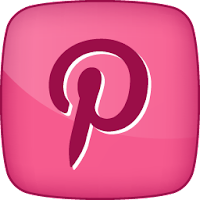 Go HERE to see Coacha' Bella next to similar Essie pinks. Another great formula like Coacha' Bella. Smooth, easy to apply crelly formula that is opaque in 2 coats. 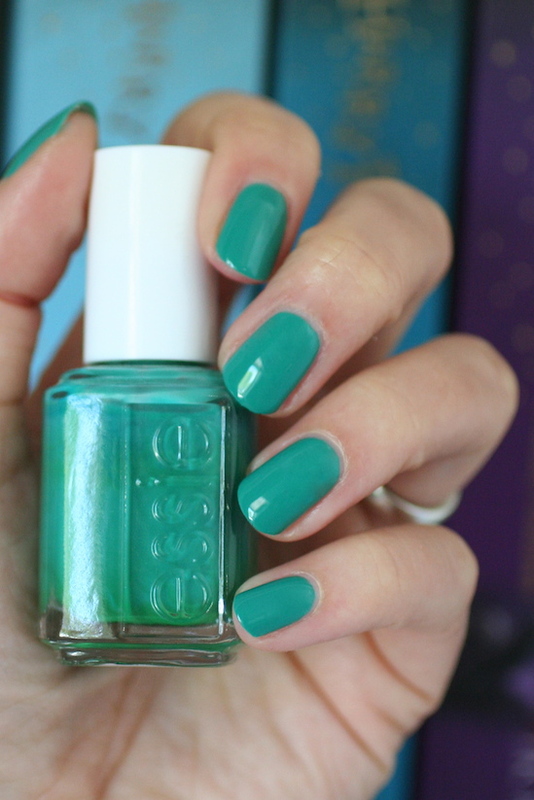 Go HERE to see Melody Maker next to similar Essie greens. This shade was the namesake polish for the collection. It's literally the exact same formula as the last two. It applies nice and easy in 2 coats but unfortunately, it's a stainer. Double up on the base coat if you wear this one! 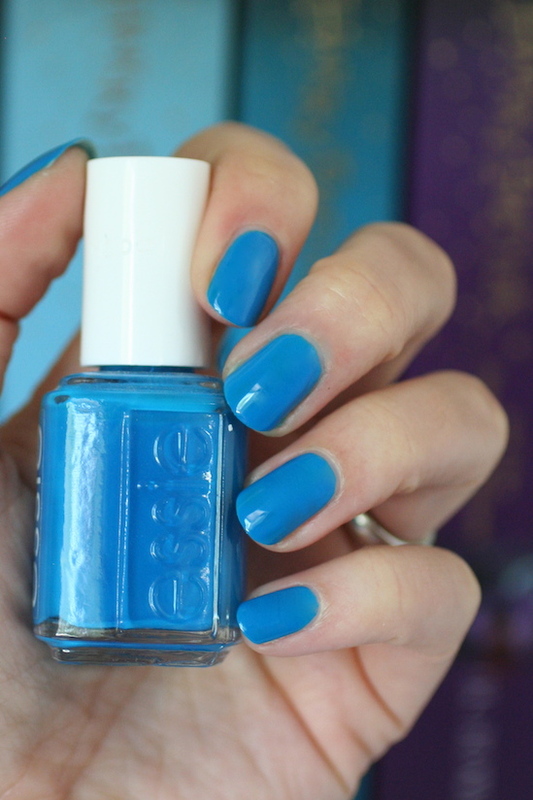 Go HERE to see Make Some Noise next to similar Essie blues. I swooned SOOOOO hard for this polish when it came out! It was the only one from the collection that I picked up that summer. This dark, yet somehow bright, purple/blue polish is a chameleon and makes me so happy to look at. Unfortunately, the formula does not make me happy. It's goopy yet also thin and streaky, if that makes sense. It wants to pull strands of polish off the tips of my nails as I'm polishing. After one coat, I decided to add some polish thinner since my bottle is 2 years old. That was much better and it was opaque and mostly self-leveled. I needed 2-3 coats. You can't smooth out your nail with the brush too much though or it starts stringing. Looks I found this formula pretty similar back when it was brand new but it's gotten worse to apply over time. Don't care. I'll wear this one and love it every summer! (and curse the formula every time I apply it probably, haha). The only comparison I have for this polish is next to Suite Retreat. You can see it HERE. I'm glad I randomly picked up these polishes from clearance bins as I came across them, because I'll be wearing the heck out of them this summer! You can still get this entire collection on Sparkle Canada. Nail Polish Canada also has a few of the shades available, as does Amazon.